I’ve more than my fair share of pencil skirts, which haven’t been worn for some time. I go through fashion phases. It was all about the skinny, bootcut & boyfriend denim styles for awhile, and although I’m not ditching any of the above, I think it’s time to resurrect my pencil skirts. 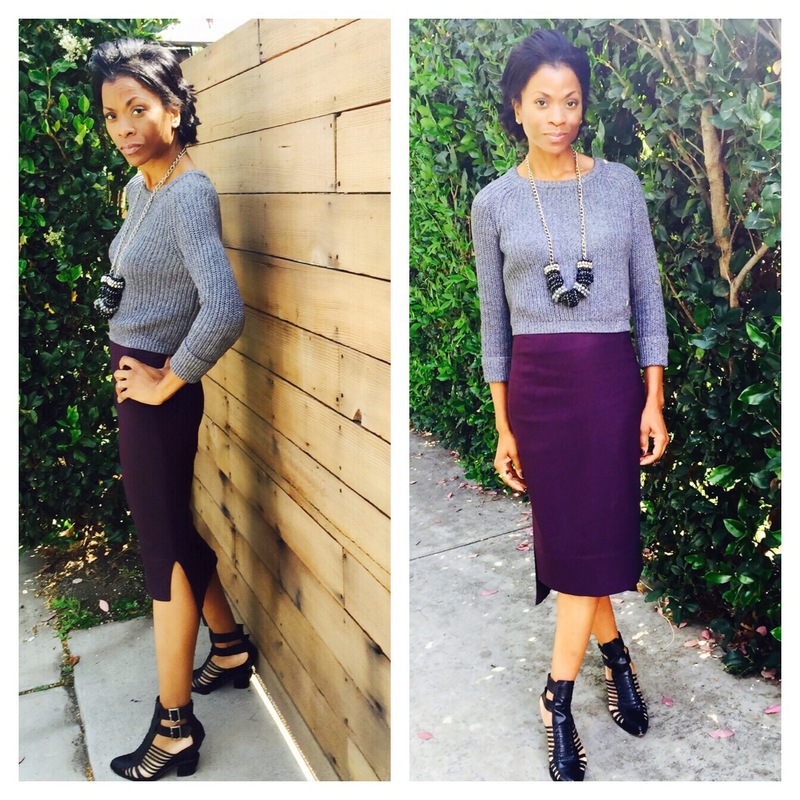 Today I opted for this asymmetrical Esisto pencil skirt in eggplant, with a cropped fisherman’s sweater from American Apparel, Alexander Wang shoes and one of my favourite statement pieces of Jewelry. A necklace I found years ago at a consignment shop in Chicago.